Heavenly blog! : No. 1580: We would like to take this case against fool Apostel Jan Aage Torp to Strasbourg in France, as we believe that the case has not been discussed here in Norway because I am convicted of the fact that it is written "much" To fool Apostle Jan Aage Torp! No. 1580: We would like to take this case against fool Apostel Jan Aage Torp to Strasbourg in France, as we believe that the case has not been discussed here in Norway because I am convicted of the fact that it is written "much" To fool Apostle Jan Aage Torp! We would like to take this case against fool Apostel Jan Aage Torp to Strasbourg in France, as we believe that the case has not been discussed here in Norway because I am convicted of the fact that it is written "much" To fool Apostle Jan Aage Torp! Both judges, both in Oslo District Court, have not confronted me or asked me what they have sentenced me to. This shows that they have not been fit for the job and should never have been judges as they simply are not geared to the job. This is the smallest one can demand from a judge and a judge collegiate, asking them what they think is punishable. This has not happened in this case, so it is also the factual facts of the times. The whole thing is nothing else a fabricated from beginning to end! As they do in Congo and North Korea, at that level is the whole thing, unfortunately! Judge in Oslo District Court was an immature lady who called Malin Strømberg Amble, whom I see in retrospect, should never have been a judge in this case who could not ask for a single time why it was written so much about Jan Aage Torp. And judge me that I've written "too much" about him, this is an justice word! Judge in Borgarting Lagmannsrett Øystein Hermansen was even worse, which after all was a good grown man. As also obviously, the failure failed to ask me and my lawyer. However, my lawyer kept in mind that he spent some hours on law enforcement. Talk about manipulator of the worst kind. What I was convicted of writing a lot about Torp. He used zero to reach zero seconds. This only shows that Øystein Hermansen did not manage to lead the negotiations in a way that was right worthy. Have worked so much with people, should one get the truth out of them. May one ask them both one, and two and three times, at least. Here I'm not asked about this once, nor my judge. It just tells me that Øystein Hermansen was not the right man to be the main judge in court. When the Norwegian Supreme Court also newspapers the appeal, this all matters to me to a father! A shame in Norwegian legal history, nothing else! The problem is really that this case has not been dealt with here in court in a fulfilling and good way. It comes from among others That the sentence says one thing. The mes discussion in court has not gone into what the sentence emphasizes. Both in the district court and the court of law, it has not been discussed and elucidated why so much has been written about things against the false apostle Jan Aage Torp. I have not been asked this once for neither the district court nor the court of law. Then one can not judge me and it will be a good and fair judgment. Here it is both neglected and reconstructed by the court that makes the case against me and the heavenly blog the justism words of time and a factual judgment! Do not really appreciate the paper it's written on, it simply does not match! That's why I mean and there are also several other things. Blue. Wrong law enforcement as Brynjar Meling has pointed out. This has been very bad and foolish of the court to let him keep on the way he has done. And they did not really care about Meling's argument. Then it is dishonest and rotten not to angular questions and discussion on what has become "felling" here in this case. Why is it written so much about the fake Shepherd and Pastor Jan Aage Torp. It is quite simply that we have debated the miserable life of the false apostle Jan Aage Torp, and what I and others mean about his remorse and other things. Blue. That he flew a person for 1.5 million and called him rather sick afterwards. To keep them the 1.5 Millions and have them for themselves. Then I challenged Torp and his friends to pay back the 1.5 Millions that he flew this Serber for. This has not happened and that there has been a lot of back and forth in dictionaries, articles and more. Punishment for this without having been confronted with this in court tells me that the case against me is a regular justice word, nothing else! Both judges who have sentenced me, respectively, in Oslo Tingrett and Borgarting lagmandrett have not even asked me why I have written such a volume of posts about fool Apostel Jan Aage Torp. Torp's credibility is in my eyes far lower than anyone else I've hit. When attaching a little to this man, it's really an impossibility. One must support his explanation with credible evidence and that others who are credible witness and say the same. This has not been followed in any of the cases, hence to say that something is a fact, etc. It is really to believe the lie rather than the truth. Attorney Brynjar Meling's ancestry, I am very pleased with, as it puts both the judgment from Oslo Tingrett and Borgarting out of court. As meaningful assessment of possible impunity or reduced punishment due to provocation and retribution in relation to reciprocal verbal attacks presupposes both a quantitative and qualitative comparison of the arguments put forward from both sides, it is stated that the grounds of appeal of the Court of Appeal are insufficient. The Court of First Instance has - see first full section on page 8 of the judgment - in the present context limited to finding that Torp's counterattack against Christensen has helped escalate and prolong the conflict between convicted and insulted. This is not sufficient to be able to determine the significance of the "balance of payments", either for the sake of guilt or punishment. Although literal and unconventional use of moral bans in religious allegedly sacred texts is no longer a common phenomenon in Norwegian social reality, especially when it is not a criminal offense in the secular sense, and even to attack others on such a basis in full publicity in time is even more unusual than simply holding condemnations on religious grounds, one must ask it about it - within the narrow circles where fundamentalist attitudes to such issues are still widespread and considered fully legitimate - may be basis for considering Pastor Torp's conduct as a basis for "legitimate misery", cf. strl. (1902) Section 56, No. 1, point b)? Can Christensen be considered to have acted in justified anger, given the special theological context of both convicted and insulted? The fact that the Court of Appeal in its premises does not discuss the issue at all, is stated to mean that the ruling grounds in the judgment are insufficient. This even though strl. (1901) Section 56, No. 1, point b), was not explicitly invoked by the defense: The Court of Appeal is ex officio abiding by the law enforcement. "The fact that the Court of Appeal in its premises does not discuss the issue at all, is stated to mean that the grounds for the verdict are insufficient." The verdict from Oslo Tingrett and Borgarting lagmannsrett builds both the same claim. That I have written about Jan Aage Torp x the number of times both the one and the other. Here are at least two factual errors! "The circumstances the case applies to blog posts in the period January 2012 to March 2015. Torp has made a record of his posts and found that he has been mentioned in the blog over 3,000 times.His wife is mentioned around 900 times, including her name as a "whore" 167 times. Furthermore, Torp is referred to as an "old pig" over 30 times, "horebukk" over 110 times, "narcissist / narresist" over 30 times, "psychopath" over 200 times and "false pastor / prophet / apostle" over 400 times. The numbers are not contested, and the court is based on the evidence. The court further assumes that this is the total number of times Torp has been mentioned and that the figures need to be adjusted down somewhat to the time period the claim applies. The court nevertheless considers that Torp is featured on the blog very frequently in the current period, that the above characteristics are used frequently. In addition to this, Torp is repeatedly called "leprosy", that he "lives in horror" and is a "horkarl", "self-centered, nasty, rude and narcissistic", that he appears to be "sick, uncontrolled and depressed" that he is "blind and ruled by demons", that he is "an old pig who divorces and marries the nanny just like Todd Bentley" that people like Torp "are not led by God but by their flesh, And that the demons are given free space ", that Torp is a" sick man of power and acts as a reckless psychopath "and that he is a" loser ". Furthermore, the accused stated that "Should I get it if it had helped, I should take my shoes or work my shoes and kicked Hanvold, Torp and all the others in the middle of the step for what they are doing does not bring revival or progress with oneself. But their death and corruption! " Furthermore, he has posted a picture of a pig with wings and wrote that "Picture of pigs that aims at what people call a person marrying a lady who could have been his daughter. This is just an illustration of a relationship where one calls someone to be an old pig, but this is just an illustration. Even pigs can look "holy" but a pig is a pig! ". The above characteristics of the reviewer of Torp are derived from larger text entries that deal with Torp and various Biblical themes. Torp explained that in times it could be as much as 2-7 posts a week about him, while the average has been 1-3 posts. Intensity has increased after Torp reported the relationship in September 2014. Torp further explained that the massive negative mention of him, but also his wife and other family members, has been a great personal burden. " Almost all of this is manufactured. 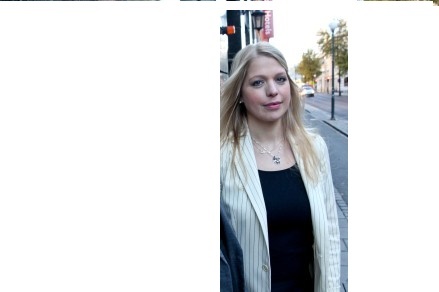 For example, I have never mentioned his new wife to the extent that Jan Aage Torp claims. And the word horebukk is probably not mentioned, and everything else is only undocumented claims by Jan Aage Torp. Who is as little credible as a person who is notoriously criminal or charged in another way! What has been written against me and my family is not included. In other words, my verbal patron are as small to firecrackers against what Jan Aage Torp and his henchmen and poodles have come with. Me and my family have had the last 4 to 5 years to receive anything from either Jan Aage Torp, or his disciples who have allied him. There Norway's 2 biggest and worst online roles, has been completely fooled by the Apostle Jan Aage Torp. There have been document fakes, countless personal mail to me, my wife, our parent, employer, my son, and also created my own blog to swear me and my family. Consider that those who oppose me and the heavenly blog have written about 300 articles against me and my family. Posted somewhere between 20-30,000 hate messages +++ much, much more! The judges and the judges Oslo Tingrett and Borgarting lagret law show zero credibility, integrity and fairness. In other words, here we are at the very core of the matter. And why then this is actually an attack on freedom of belief and expression. Since the whole judgment against me is fabricated, ugly and shows the dark side of the Norwegian judicial system. That is bad at this point! When both judges and two different judicial authorities are based on the same thing that has not been debated as attorney Brynjar Meling says. Then the whole thing against me and the heavenly blog will be a fake room! This just does not stand!